The return is controlled by nitrogen return cylinder with stable working process and easy in operation. 2.Protective fence and the safety interlock to ensure the operation safety. You can also send your technician to our company to learn how to operate machines. The big pressure adjusting range insure various paper cutting pressure needs. 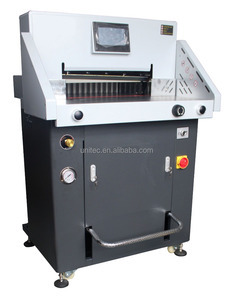 This machine is suitable to cut Carbonless Paper, art paper, gray paperboard, etc. This machine has passed CE safety and the hydraulic system is also passed European safety standard. 1 YRS Suzhou Hevotec Machinery Co., Ltd.
Our company is a synthetical enterprise occupying more than ten thousand square meters of factory building. Our products have won high reputation among customer at home and abroad for the reliable performance and novel design. 3. Q:What's the material of your product9 A: The roller is Germany, Steel and Silicon (Import) to make it. 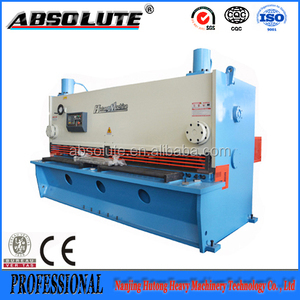 5 YRS Guangzhou Debo Machinery Mfg Co., Ltd.
9 YRS Qinyang City Huaxia Paper Making Machinery Co., Ltd.
Specification of Industrial Guillotine A4 Paper Cutting Machine Price Model Industrial Guillotine A4 Paper Cutting Machine Price Max. 7.Double guiding rail to push the paper, making sure the pushing more accurate and smoothly. And our price will lower than the trade company because we are manufacture. 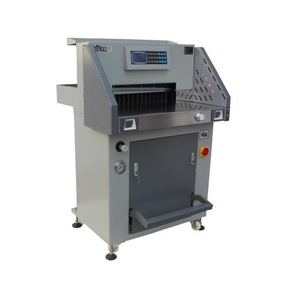 2, Typical of an easy operation, reliable performance and nice appearance, fitted with digital controller. 3, Indication is provided for adjustment of blades clearance, for a handy and prompt adjustment. 5, Worktable with balls for material feeding convenient, to minimize scratch off plate and to reduce frictional resistance. 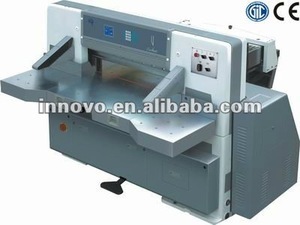 Alibaba.com offers 23,967 cut machine guillotine products. About 14% of these are paper processing machinery, 2% are paper trimmer. 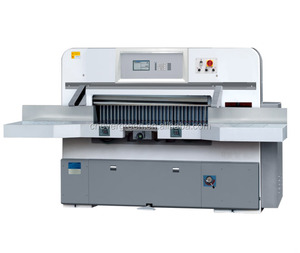 A wide variety of cut machine guillotine options are available to you, such as paper cutting machine, die-cutting machine. You can also choose from no, yes. As well as from manual, electricity. 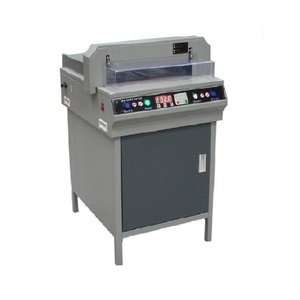 And whether cut machine guillotine is free samples, or paid samples. 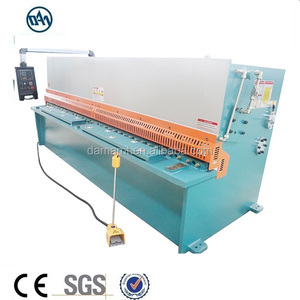 There are 23,967 cut machine guillotine suppliers, mainly located in Asia. 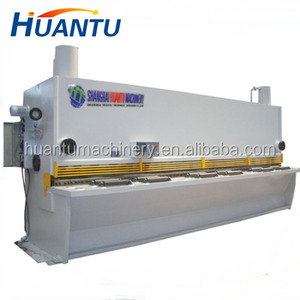 The top supplying country is China (Mainland), which supply 100% of cut machine guillotine respectively. 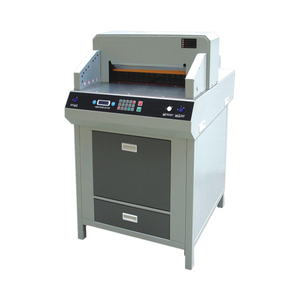 Cut machine guillotine products are most popular in South America, Southeast Asia, and Domestic Market. You can ensure product safety by selecting from certified suppliers, including 6,868 with ISO9001, 2,571 with Other, and 281 with FSC certification.